If you’re want to know how to get leads into any funnel that you’ve created, you need to put the right message infront of your prospects. That’s what we will talk about in this article. If you’re new to online marketing or lead generation, one of the most important things to keep in mind the “temperature” of your leads. Are they Cold, Warm or Hot traffic? 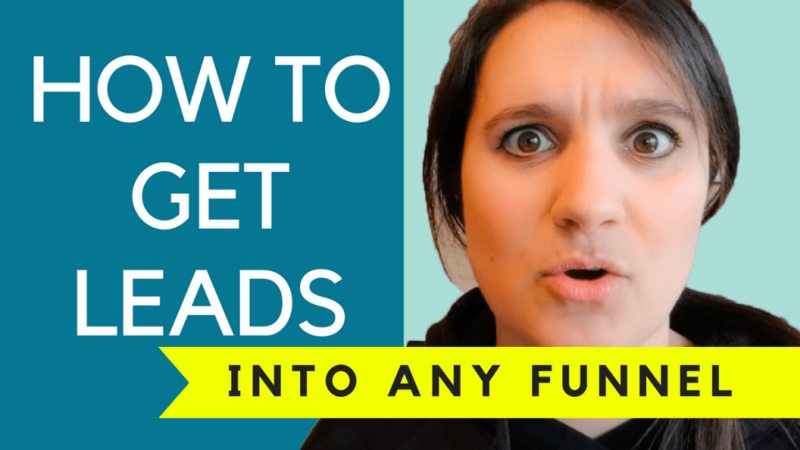 Everyone talks about getting HOT LEADS into their funnel, but what does that even mean? Obviously HOT traffic is the easiest to sell… but how do we ‘warm up’ our leads so that they are willing to buy, and most importantly how to get leads into ANY funnel? Your leads have to come from somewhere… and that can be from offline or online sources. For the sake of keeping this relatively short, let’s focus on the online traffic sources. Free traffic means you don’t spend any money to market to these audiences, typically it is just a time investment. If you’re utilizing social media, try an post scheduler like crowdfire to help you out. Another one of my absolute favorite free traffic source sis YouTube. It’s the second biggest search engine in the world (behind Google, of course) and the user base is growing twice as fast as Facebook’s. Counter to popular belief, you DON’T have to be a video super start to start making leads off YouTube. In some cases, you don’t even have to show your face. Paid traffic on the other hand, is simply that. You pay someone else to show your content or link to qualified leads. One of my absolute favorites for business op lead generation is Udimi Solo Ads. You can get leads looking for business opportunities for under $0.50. It’s a great way to build your email list if you’re just starting out. Basically a Solo Ad is when someone else emails their list with your offer and you pay them for it. Whether you’re using Free or Paid traffic sources, you need to put yourself in the prospects shoes – what message are they expecting from you at this point, and are you sending them to a page that follows that same message? A lot of marketers make the mistake of trying different messages to get people to convert on the same page, but in reality, the message you send out there and the message on your page, must be the same! If you can master sending the right temperature message to the right temperature audience, you will be the master on how to get leads into any funnel (then maybe you can come back here and share with us some more tips). But if you really want to kick-start your learning, I would suggest the free book DotCom Secrets – written by one of the most successful online marketers, Russell Brunson.